There is a fine line between profit and loss on many surveillance projects. If just a few unexpected camera problems arise, the integrator may as well be paying to perform the work. In this note, we examine the pre-installation checks and why they keep installations profitable. Device Firmware Updating/"Dead On Arrival" test: Confirming each device has the latest supported firmware and is able to receive power. Performing these tests require scarce resources during a project site: labor and time and potentially can avoid the biggest issue of sending technicians to hang nonfunctional equipment. The first step of pre-installation testing includes updating device firmware and pre-configuration of IP addresses/ network settings/ usernames & passwords. In general, updating firmware should not be performed in the field with unstable networks and power. If not equipped with backup power, bench networks should add UPS to PoE switches or power supplies should a power failure occur mid-flash. Almost every camera uses updated firmware in order to close off known cybersecurity risks. As a pre-requisite for production installs, all device firmware should be confirmed as updated to avoid unwittingly installing vulnerable equipment. Documenting device MAC addresses or serial numbers is a prudent step to take here, for future reference. Making note of this information is especially valuable for warranty reference, for both the installer and end-user. In this first stage, each camera is unboxed and booted up. At a minimum, this confirms that the device works and should power up as expected during final installation. The occurrence of 'Dead On Arrival' equipment does not happen often. As our stats show, the DOA failure percentage is near 0% for most commercial brands. However doing firmware updates as the first step screens cameras for DOA conditions so the problem can be essentially mitigated against endangering job profits. The next deeper step of pre-installation testing includes configuration of IP addresses and default usernames and passwords. Many IP cameras no longer use factory default usernames and passwords due to cybersecurity risks, and require them to be manually and dynamically assigned to each device at first boot. This process takes additional configuration time for every camera, and an install technician may not be diligent or formalized in both assignment or bookkeeping of the assigned credentials, making future work difficult and even requiring 'hard' resets. At this stage, assigning each camera its final IP address is often prudent as well. Tying together the IP address and physical installation location is vitally important. Keeping track of this information on a floorplan or spreadsheet will clarify where the installers should hang the camera, and will also significantly aid future surveillance system troubleshooting and maintenance efforts. At this stage, advanced functionality like IR cutfilter switching, IR LED function, motion and zoom checking for PTZ cameras, and heater/blower function should all be checked. In many devices, the IR cutfilter is a moving part whose alignment and movement should be confirmed as fully operational. In some cases, the cutfilter can become 'stuck' and if a defect can be discovered on the bench, costly field replacement can be avoided. Confirming the IR cutfilter operates and integrated IR LEDs light up can be achieved a number of different ways depending on the camera type, but the best test method approximates field conditions. 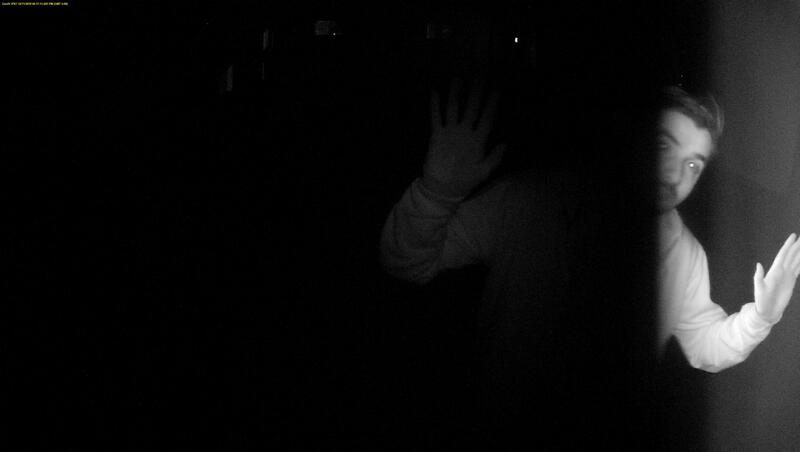 Instead of using interface buttons to trigger these functions, consider placing the camera in darkness and allow the sensor on the camera to switch into night functions. PTZs cameras include many moving parts. The full function of travel and zoom should be confirmed during this step. Some PTZ have a 'selftest' feature built into firmware that automates this movement. If the camera does not include this feature, it may require setting up a continuous patrol while working the tilt and zoom functions to the full extents of their ranges. Especially because PTZ cameras are expensive, catching operational glitches as soon as possible under warranty is vital. On the bench, the installer should confirm that 'edge' functions like SD storage is writing/reading properly. Also, 'deep integration' I/O events can be preprogrammed, greatly enhancing installation efficiency in the field. Additional I/O components can be 'kitted up' and packaged together to follow the camera in the field for install. Performing this type of work for large installs with high camera counts can be logistically challenging, and not every installer will have the time nor facilities to accomplish the work quickly enough. However, it is vital that installers check equipment before install or money and time will be wasted. 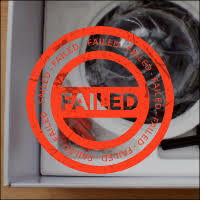 No manufacturer will admit to shipping faulty or broken equipment, but it frequently happens. The risk is higher when buying budget line or 'flavor-of-the-month' cameras. Some installers may be able to negotiate this work as a 'value-add' service performed by distributors and manufacturers, since it does consume time and resources. However, the scope of these services should be carefully considered. Communicating pre-configuration details must be done very accurately, and nothing may be gained by failing to confirm operation firsthand if devices break during transit. "An ounce of prevention is worth a pound of cure" may seem like a quaint adage, but it certainly rings true for installers battling equipment failures during field installation. Investing time to ensure and preconfigure camera before install may cost money up front, but can quickly prove to save profits when put into practice.